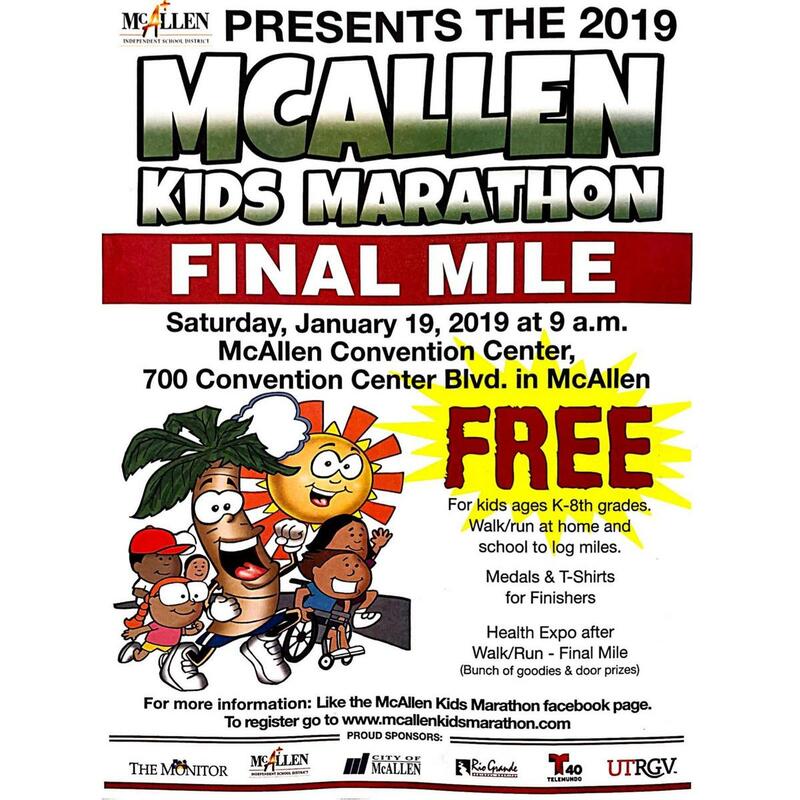 Join us for the Final Mile of the McAllen Kids Marathon on Saturday, January 19, 2019, 9:00 a.m. at the McAllen Convention Center. 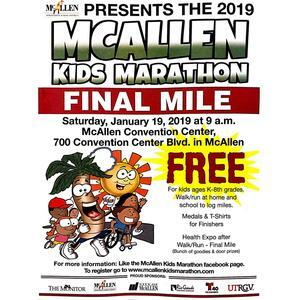 This Saturday is the Final Mile of the McAllen Kids Marathon! The event will take place at the McAllen Convention Center at 9:00 a.m. Be there early to receive a free t-shirt. Make plans to stay with your child during the event. Hope to see everyone there!